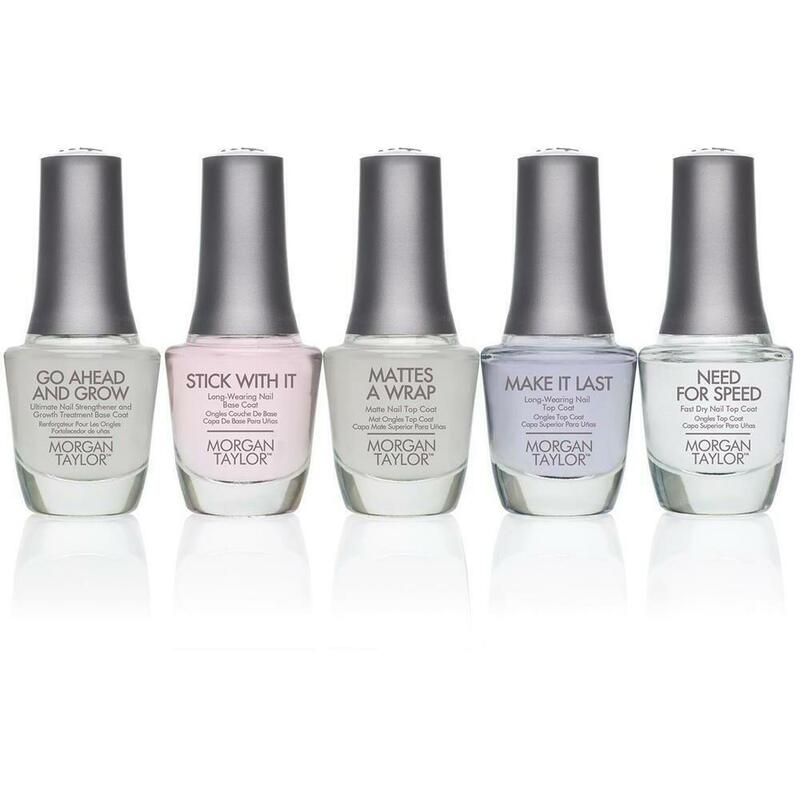 Looking for A long-Lasting Polish? Look No Further! People are raving about polish by Morgan Taylor. Beautiful colors that last without any UV light. Add it to your business, and retail for home use! 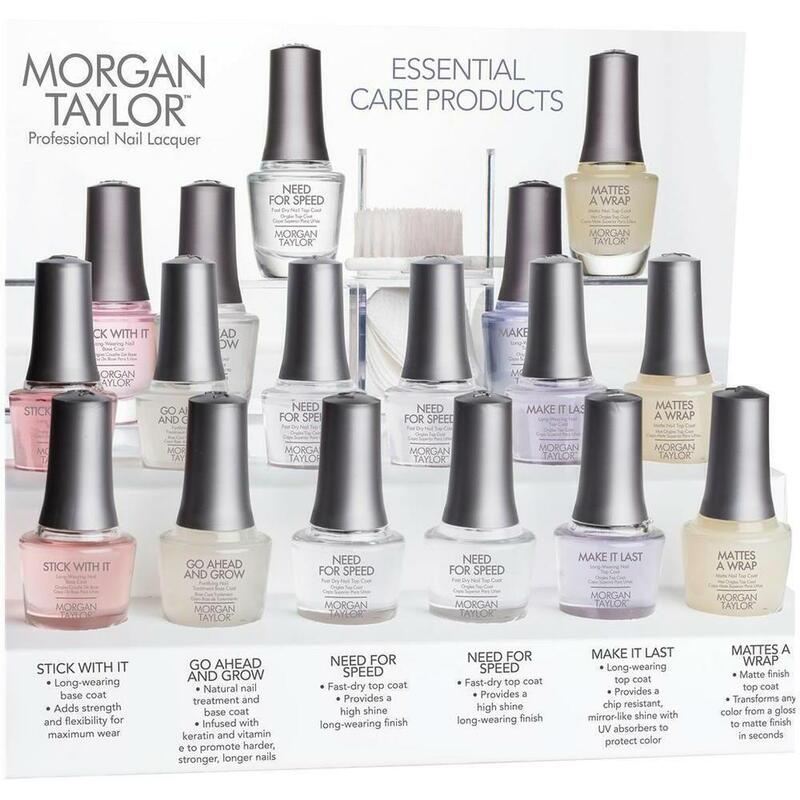 Check out Morgan Taylor's Nail Lacquer colors! Apply your favorite Morgan Taylor Base Coat, then two coats of Morgan Taylor Polish and finish with your favorite Morgan Taylor Top Coat. IT’S WHAT’S INSIDE THAT COUNTS. Inspired by luminous pearls, raw gems, semi-precious stones, glimmering silvers and radiant gold all drawn from the earth. The exclusive Morgan Taylor Nail Lacquer is infused with rare and precious elements. All pigments are saturated, pure and finely milled for luminous metallics, never before seen shimmers, decadent crèmes, stunning sheers and more glistening glitters. The payoff - smooth, even, long-lasting color with a gorgeous professional finish. In our commitment to the professional and as a worldwide leader in the nail industry we recognize the importance of a globally compliant nail lacquer that is free of Formaldehyde, Toluene, and DBP. Paging the Doctor....the Nail Doctor, That Is! Top coat once a day, keeps the doctor away. 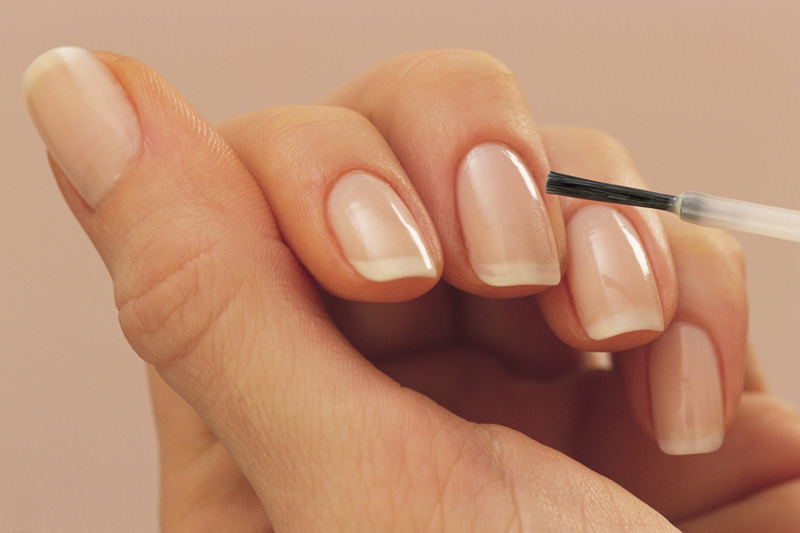 Are your clients complaining about dry, brittle nails? Help them keep their nails healthy, add Rejuvacote to your salon or spa for use, and for retail! Rejuvacote, "the nail doctor," will heal and cure your split, cracked and acrylic eaten nails. In a matter of weeks, you will enjoy the look and feel of strong, vital, natural nails. It's not a promise, It's a guarantee. 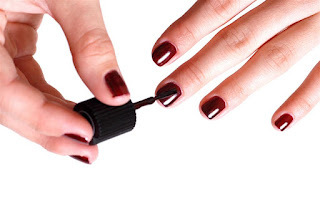 It takes only 2-3 weeks to see a dramatic improvement on your nails when you use Rejuvacote. It will force your nails to grow stronger, healthier and longer. Apply Rejuvacote daily over bare natural nails or over nail polish. It is designed to be used as a base coat and a top coat. To see similar products click here ! New Collection from China Glaze: Tranzitions! It seems that cool nail effects are still popular as ever! 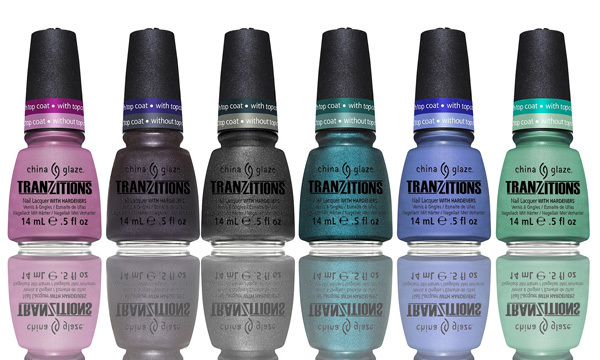 Something I came across recently, the China Glaze Tranzitions Collection, looks to be very interesting. These new nail colors react when a clear top coat is applied, changing the color from one shade to another for a stunning effect. Wear any of the six color-shifting shades alone, or go wild and create fun nail designs by applying a top coat in specific places. In just one swipe, you can create a brand new color - each bottle is like having two colors in one! Step 1: Apply a base coat. Step 2: Apply two coats of China Glaze Tranzitions shade of choice. Allow to completely dry. Step 3: Lastly, apply one coat of clear top coat such as China Glaze Fast Forward and watch the color change right before your eyes. With these colors, you can easily and quickly change your look with just one swipe! Nail Polish: How Do You Top That? When it comes to Nail Polish Top Coats, I have bought this and tried that. My constant search to find a Top Coat that can withstand the rigors of my daily life, which include lots of typing, cleaning, and the ashamed constant nail biting and cuticle picking (a gross habit I know I need to kick---working on it hehe) hasn't been easy. To meet my criteria of a good Top Coat, it must Dry Fast (I am impatient and hate waiting for my nails to dry, as do your cients), must give a nice Shine, and MUST LAST (no quick chipping)! America's #1 Choice (and Mine)! 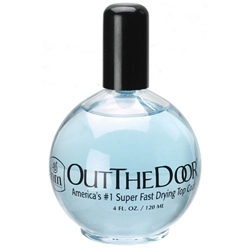 What is your favorite Top Coat and Why? Say good-bye to weak nails! For stronger, longer nails, think Duri! Duri's Rejuvacote Nail Growth Treatment aka "the nail doctor" is just what your natural nail clients need. It can be used as a base and top coat, or whenever needed to cure split, cracked and weak nails. Its hard to walk into a nail salon without seeing each nail tech have Duri on their table. The reason why? Because it really works! Duri doesn't promise results, they gurantee them! As a troubled nail biter, I'm constantly searching for products that will help break the habit. After 2 weeks of using Rejuvacote, my nails are now too stong to bite....not kidding! 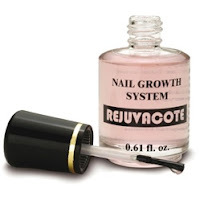 Help your client's nails-->Offer Rejuvacote Nail Growth Treatment as an add-on service or retail it with Rejuvacote 0.61 oz. / 12 Pack by Duri Cosmetics.